I just finished two very quick indie games that were great for completely different reasons. Vidiot Game is just batshit insane. 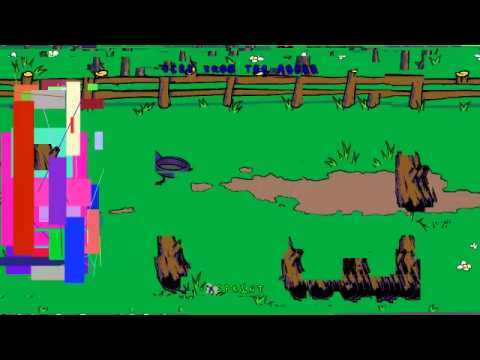 It plays like an old Atari style game (or rather several games) complete with bad music, bad translations, glitchy graphics, etc. but the game just from playstyle to playstyle without any consistent pattern or meaning. It’s like a game designed by someone who was completely high the entire time. It’s a crazy non sequitur trip that really is interesting to play for 10 minutes or so. Afterwards I played DLC Quest, which came in an Indie Gala bundle I believe. This game has a lot more polish than it lets on, being styled like an old NES game. It’s mostly a satirical commentary on the state of the games industry and it’s nearly total reliance on downloadable content packs in order to monetize a game. When you start you can’t even move left until you buy the movement pack, you can’t pause the game until you buy the pause menu pack, there are no animations until you buy the animation pack, and there is no sound until you buy the sound pack. The achievements (the game calls them awardments) are as frivolous as any game achievements anymore, including an awardment for buying all the DLC (including Horse Armor). The game has a great sense of humour and to get the full effect you should read every signpost, conversation, and DLC write up. It’s actually also a fun platformer. Great fun for about half an hour. 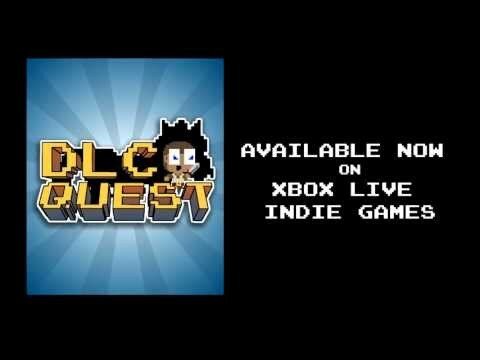 DLC Quest costs about $1 on Desura.